Prophecy has consistently produced light birth weight calves with his natural easy fleshing ability. As an added bonus Prophecy offers calving ease without compromising performance. 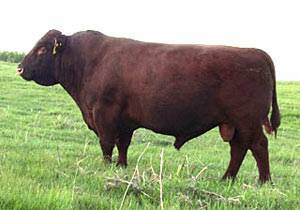 He also has been producing cattle that look great on the halter and even better on the hook with his high marbling. Prophecy is still structurally sound entering his 8th breeding season. He has daughters in production that milk well and raise excellent calves.